To show off some company pride, we’re putting the spotlight on our Client Services team! If you are a long-time GreenRope user, you probably have worked with many of these folks before. We’re happy to have a diverse team of people who each bring unique talent to the table. They’re job is to help solve anything that’s been troubling you and help improve the platform by communicating your feedback to our Development team. They love helping you get those “aha!” moments, so we asked them all about what features of the platform they enjoy helping users take full advantage of. Read on to learn more about them and GreenRope! A unique feature that doesn't get the credit it deserves is our awesome dashboard! 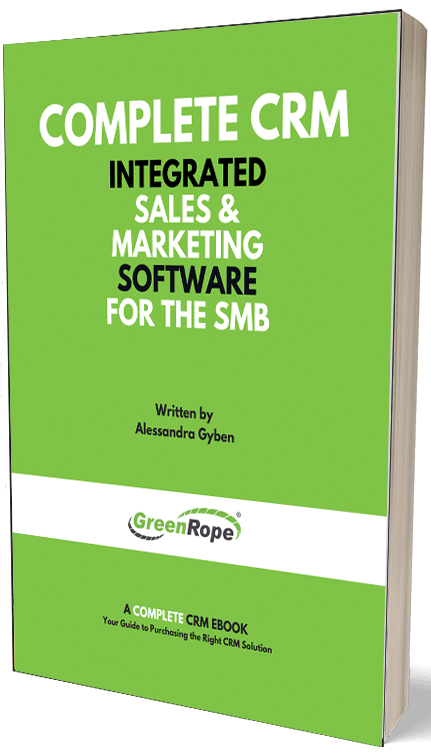 By simply signing onto GreenRope, a summary of your sales, marketing, and operational efforts are readily available. I enjoy that these dashboards are completely customizable and that you can select which charts and data are easily and immediately available on your home page. It’s great to look at all of your account’s activity in one place. I really enjoy our Email Campaign Optimizer! It is a very unique and powerful feature that allows our users to find the best performing messages that drive client engagement. Just simply choose the messages that you want to test, determine the target audience (along with the test group), and launch your optimized campaign! The sуstem will count the scores each message has gained (according to the activities that the recipients have taken) and send the winning message to the rest of the group. It’s great, isn't it? I believe that our Email Campaign Optimizer drives conversions and saves a lot of time for marketing professionals and users who want to create demand and target audiences with the right message. The project manager is key for the marketing team. With so much going on, we need a comprehensive manager to be able to add tasks, track the hours spent, and record our progress for each task. Also, since we are a virtual marketing team, it is important that I can see what the rest of the marketing team is working on to ensure that our goals and objectives for each week are being met. I love how easy it is to create a task, set the deadline, email the assignee, etc. In terms of marketing tools/features, I love the new Conversion Driver charts. Most marketers have a ton going on in terms of lead generation efforts, and it is SO important to know where your most valuable conversions come from. One campaign might drive a lot of traffic and conversions, but yield a lower ROI than another campaign. Being able to understand these analytics really helps marketers focus. Focused marketing drives better results with a higher ROI. These Conversion Driver charts are a HUGE asset and one of GreenRope's most useful new features! I enjoy utilizing the Ticketing System Manager because it has assisted me with managing submitted support queries. Not only am I notified when a user submits a ticket, but the responses are also logged within the contact's CRM record. This data is invaluable for our team because we all get to collectively know and track our users and what are their specific pain points that need to be addressed. I think the most unique thing about GreenRope is the all-inclusive CRM timeline that automatically feeds in every piece of correspondence and engagement that you have had with your contacts and leads. This includes emails, activities, chats, tickets, website views, etc. This provides you with amazing insight into the behavior of your leads. You’ll be able to see which of your contacts are engaging and what content they’re interested in. My favorite feature is without a doubt the Email EasyBuilder. Its drag-and-drop functionality makes life so much easier for our users to create and send top notch communications. It’s easy to create eye-catching email templates, no HTML experience necessary! I use it on a professional and personal level regularly. The tools that are the most valuable for small businesses are the ones that do the work for you. I've always worked as part of a small team, so I understand how much work goes into wearing multiple hats. That's why I love our automation tools - workflows in particular. It's very easy to have a step of your sales or marketing process fall through the cracks, especially when you are working in all parts of your business. Workflows automate a series of activities, actions, and reactions. They can do the work for you, such as moving your contacts from one group to another, and they can also let you know what needs to be done, such as assigning follow-up calls or emails to you or a team member. Not only does this streamline your process, but it establishes accountability. This has saved me so much time by removing the burden of having to manually verify on what needs to be done. It has also saved me so much stress from having to remember each phase myself! GreenRope's tracking ability and analytics are far beyond any other system I have worked with, and still proves to be my favorite feature! You can track every part of your business from your website, to campaigns, to opportunities. The robust analytics and reporting really helps businesses get a deep and knowledgeable understanding of how successful their marketing efforts, client engagement, and overall business strategies are performing. My favorite feature is the Website Builder because I personally enjoy being creative and building really amazing websites for our team and clients. Websites are typically the first impression that a person gets when finding a business online and I enjoy being part of that experience. I enjoy the entire process: from designing the layouts and wireframes, to writing the code, and then seeing the final product come out of our Website Builder. Contact GreenRope's support team if you have any questions about the platform or its features!